Welcome to St. Cuthbert Mayne Catholic Primary School. We are a community of faith and learning, inspired by Christ's commandment to love God and our neighbour. As a Catholic school our ethos is based on the Gospel values of Respect for Life, Love, Solidarity, Truth and Justice. "Recognising the value and worth of each individual". At St. Cuthbert Mayne Primary School we firmly believe that each child is unique and we are committed to developing their God given talents. Our children receive a Catholic education which enables them to fulfil their spiritual, academic, intellectual, physical, emotional and social potential. Christ is at the heart of all that we do and every decision we make is based on what is in the best interest of our children. Our ethos is evident in relationships both within and beyond our school. 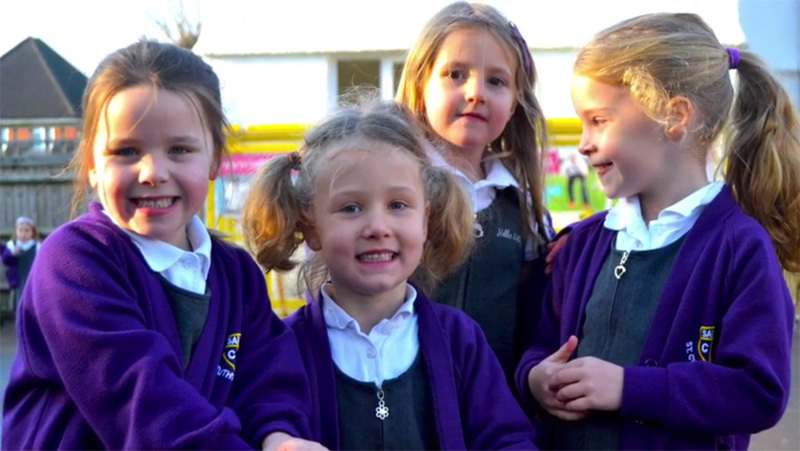 Our community is further strengthened by our home, school and parish link. Our aim is to ensure that our pupils are well prepared for their next stages through an excellent primary education which sets strong foundations for their future. We do this by providing a stimulating learning environment and a broad and balanced curriculum. We are ambitious for our pupils, and challenge them to be the best that they can be in all that they do. Resilience, creativity, tolerance, independence and collaboration are some of the many qualities our pupils develop during their time at St. Cuthbert Mayne. We are outward looking and encourage pupils to recognise and celebrate the diversity of our community and the wider world. Pupils develop a global awareness and understand their responsibility to look after the world and those who live in it. Please come and visit us and see the school in action. On Thursday 1st November 2018 we were delighted to join the Xavier Catholic Education Trust. We welcome your views on our School. Please visit Ofsted's Parent View website to register your views. Admissions News: We have places available in some year groups. Please contact the school office for further information and details of our admissions process. Copyright ©2019 St. Cuthbert Mayne Catholic Primary School All Rights Reserved.